Having had a few months to observe Encore singers in action, I have been so impressed by the spirit and energy you bring to each rehearsal. It has been a joy to visit several of your chorales, and for those I have yet to visit, I look forward to seeing, hearing and meeting you in the coming months. In meeting many of you, I have heard such wonderful stories of how Encore has impacted your life. Whether you have been singing your entire life, or only started singing upon finding Encore, you are part of something much greater than yourself alone. You are part of a life-affirming activity that connects you not only within your chorale, but with all Encore singers around the nation. I wish all of you a very happy, peaceful and gratitude-filled Thanksgiving, and I look forward to attending your glorious performances next month. All singers are encouraged to register in advance and online. Registering early helps the office prepare for the season and it is especially helpful to know total singer numbers for the music and CD orders. Please do not hesitate to call our office with questions. Concert Hall Performance on December 26th! If you have signed up for the Kennedy Center, we expect to see you there!!!! But only if you signed up! Currently, the call time is 4pm. That may be moved up to 3:30pm and we will know that in a few weeks. By Monday November 26, your chorale master will have a list of who signed up to sing at the Kennedy Center. Some of you reported that you did not remember if you signed up, so this will refresh your memory. We have printed wonderful post cards for the Kennedy Center concert. They will be available at rehearsals. Invite your entire world!!!! This concert will be spectacular and it is free! NO reserved audience seating. Guests may absolutely not be in the Concert Hall when we are rehearsing. Please do not ask. Kennedy Center rules. Audience will enter at 5:30pm. For some, there will be a few weeks from the time you performed your home concert to when you perform at the Kennedy Center. We ask that you rehearse with your CDs to keep the music perfect. It will take practicing. Singing at the Kennedy Center will also require a lot of watching the conductor. This will absolutely be essential. 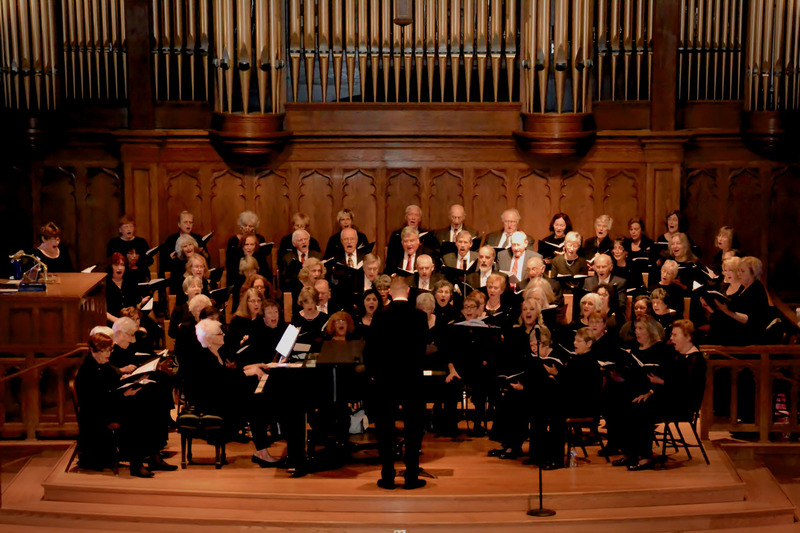 Concert attire for Encore Chorale: Women - all black, dress slacks, skirts or dresses below knee, black dress top with three quarter length sleeves. Black hose and shoes. Strand of pearls or a gold or silver necklace. Pearls read well on stage. Men - dark suit or dark sport coat and slacks, white shirt, colorful tie, black shoes and socks. Concert attire for Encore ROCKS: Women - all black, dress slacks, skirts or dresses below knee, black dressy top with three quarter length sleeves. Black hose and shoes. Brightly colored (one color) scarf! Scarf should have no pattern. Men - dark suit or dark sport coat and slacks, white shirt, colorful tie, black shoes and black socks. Singers will receive by email a parking pass at a greatly reduced rate as we get closer to the date. You will want to leave your coats and big purses in the trunk of your car. We will have more information for you as we hear from the Kennedy Center. Hello Everyone! This is my first year with Encore, and I have been having a wonderful time getting to know the singers in the Langston Brown Chorale. I have had the opportunity to sub with a few of the other chorales this fall, and I’ve learned that each group has its own personality! How exciting that so many of these groups will be combining for our December concerts! My husband, Keith, and I moved to northern Virginia in June 2017 so that he could take a job as a government analyst. I frequently scoured all the music job websites looking for conducting work, and in October, I saw a posting for an Encore chorale conductor. I thought this might be a good fit for me, so I e-mailed Jeanne my cover letter and c.v. right away. When Jeanne and I spoke on the phone, she seemed excited about the various positions I’d previously held: I was the Voice Department Chair and Director of Choirs for the Merit School of Music in Chicago for several years, I had served as the music director for several community choirs whose members mainly consisted of seniors, and I had been a choral director for a few college programs as well. When I applied for the job, I had imagined that Jeanne would want someone to start in a few months, but in our phone conversation, she revealed that she wanted someone to start as soon as possible! I had to say, “Well, in that case, there’s something I should tell you. I’m nine months pregnant, and I’m due on Sunday.” Jeanne burst out laughing and had me come to her rehearsal the next day and audition anyway. Needless to say, she did not give me that job in 2017, but she kept me in mind all these months, and when an opening at Langston came up last summer, she offered me the position. 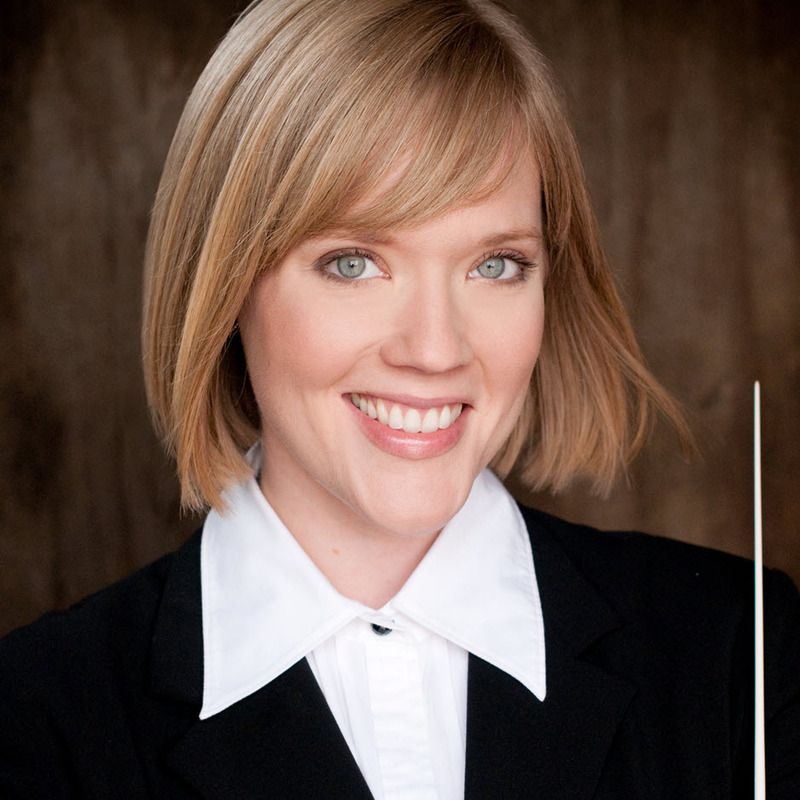 I was initially excited to work for Encore because of my admiration for Jeanne - I really respect her as a woman conductor who has put together an impressive organization. She has great piano and directing skills, and she’s also a lot of fun! But working with the members of the Langston Brown Chorale has also made me appreciate all the great benefits that Encore singers get from their membership. I can see the friendships that have formed, and it’s clear that the choir is a support system for one another. We are doing challenging repertoire to be performed at some amazing concert venues this season, and I’m making everyone work hard each week to be ready! All of these older adults want to keep learning and becoming better musicians, and I’m honored to be a part of their journey. If you shop through Amazon, there is a simple way to direct some of Amazon's profit from your purchase right back to Encore. Amazon donates 0.5% of the price of eligible AmazonSmile purchases to the charitable organization of your choice. Shop through smile.amazon.com to get started. Type in Encore Creativity for Older Adults as your chosen non-profit and continue to shop. Every penny helps, and it really is that simple! Thanks! How did I start singing with Encore? Last summer, Connie Scott, who with her husband Bill sing in both the Encore Chorale and Encore ROCKS, told me about the ROCKS summer camp. I jumped at the chance since I love singing and, while I did a lot of it in high school and college, was not involved in any local singing groups. It was a blast so I signed up for the Fall as well. What do I get out of singing with Encore programs? First, I'd have to say that singing makes me feel good - I guess it's releasing those endorphins into the blood stream. But, equally important is the camaraderie of being with a group of people who share a common love of singing. Finally, everyone in the organization, Jeanne, Jeff and the staff, makes me feel so welcome. What is it about rehearsal that keeps me coming week after week? It's so much fun to see it all come together, getting a little bit better each week, such that by the end we can put on a credible performance and share something fun with our friends and family. Join the movement! Following Black Friday and Cyber Monday, #GivingTuesday is a global day of giving, fueled by the power of social media and the generosity and collaboration of supporters like you. #GivingTuesday kicks off the charitable season, when many of you focus on your holiday and end-of-year giving. We hope that you will consider Encore as a beneficiary of your generosity this year. We continue to be amazed and grateful by your meaningful gifts. We simply couldn’t do what we do with you. Last year on Giving Tuesday, millions of people in almost every country came together to give back and support the causes they believe in. Over $300 million was raised online to benefit a broad range of organizations. Stay tuned for our communications via email, Facebook and Twitter as we celebrate #GivingTuesday on November 27. Of course you need not wait until then to make a gift, as you can donate today by clicking here.